2.0 lb executive food gift box filled with 1 stock or custom embossed 4.5oz chocolate candy centerpiece bar 4.5" x 3.5" x 0.5", 6 oz deluxe mixed nuts, and 24 oz of chocolate covered almonds. Stock centerpiece messages include Seasons Greetings or Happy Holidays. 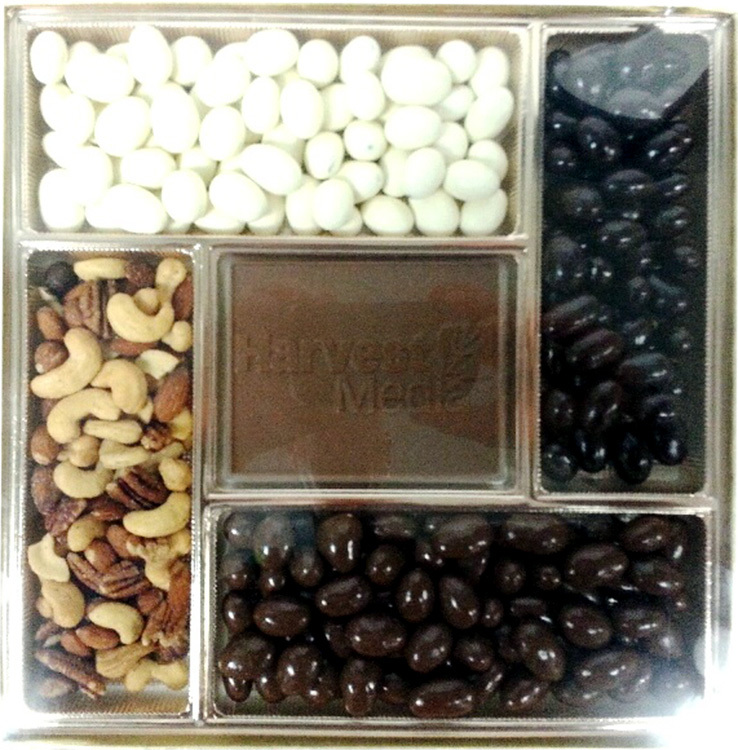 Choose from white yogurt covered almonds, milk chocolate covered almonds, or dark chocolate covered almonds. Gold box with clear lid is secured with gold or silver stretch band ribbon.